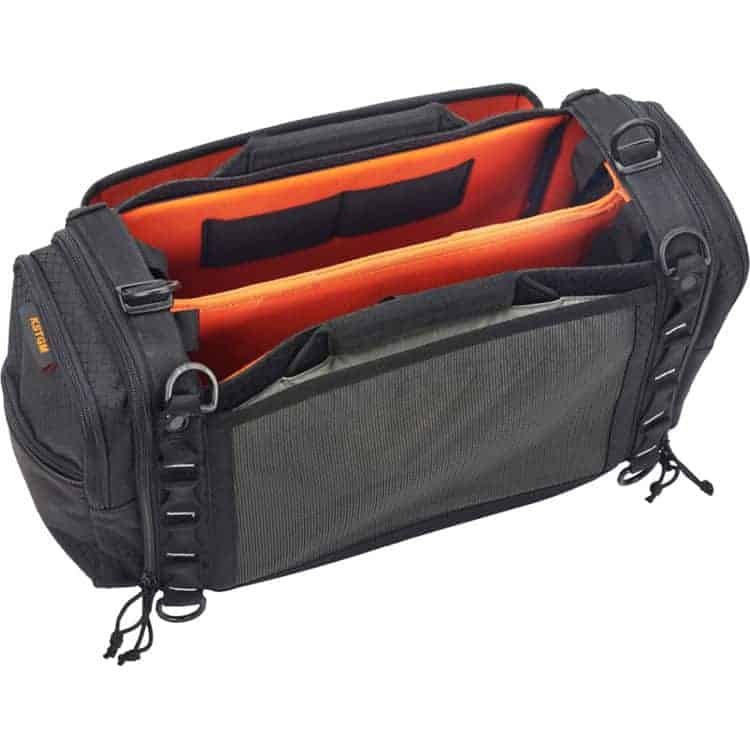 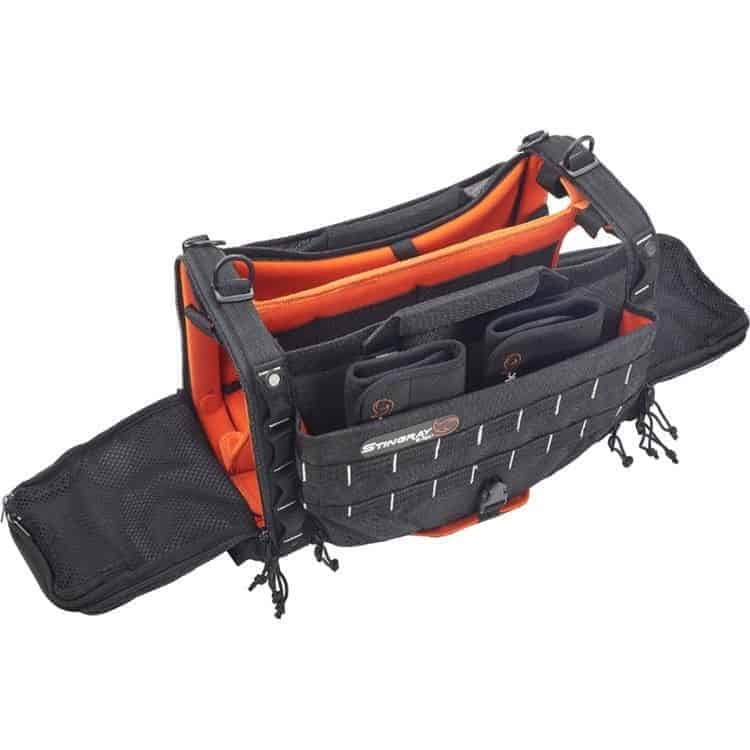 Over-sized side pockets offer plenty of room to store NP batteries, while hook-and-loop access allows cabling from side pockets into the main compartment. 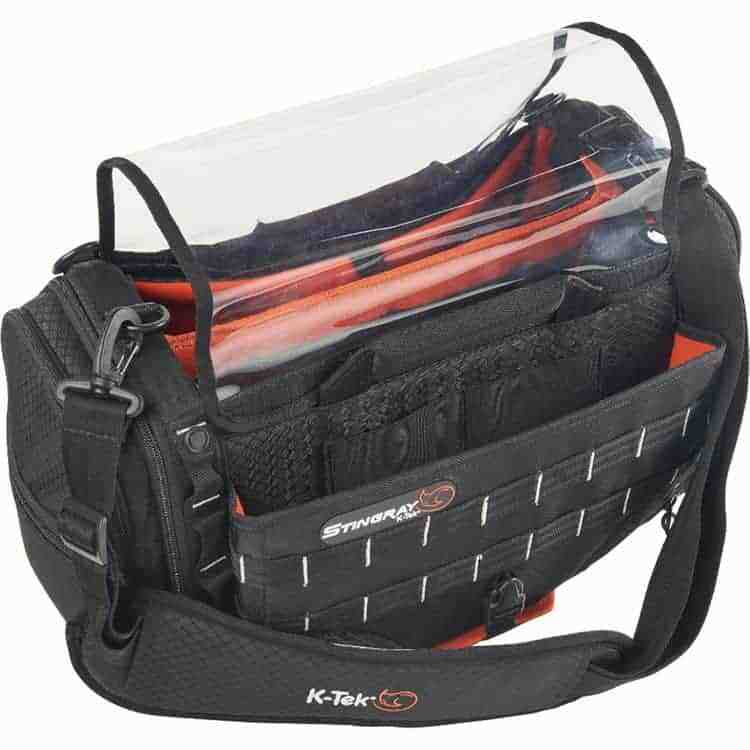 A separate front compartment can be expanded or closed tight, and is protected by a rigid front panel. 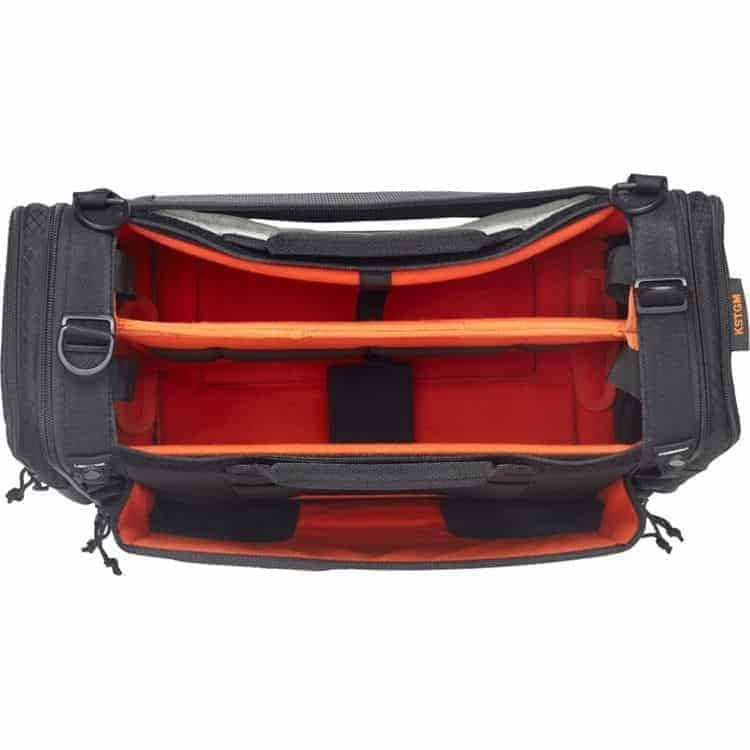 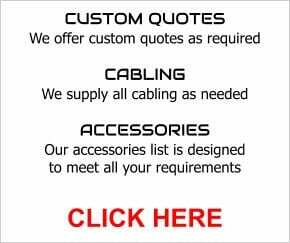 Various cable pass-through locations and smart storage points allow for versatility when using various equipment choices and recording environments. 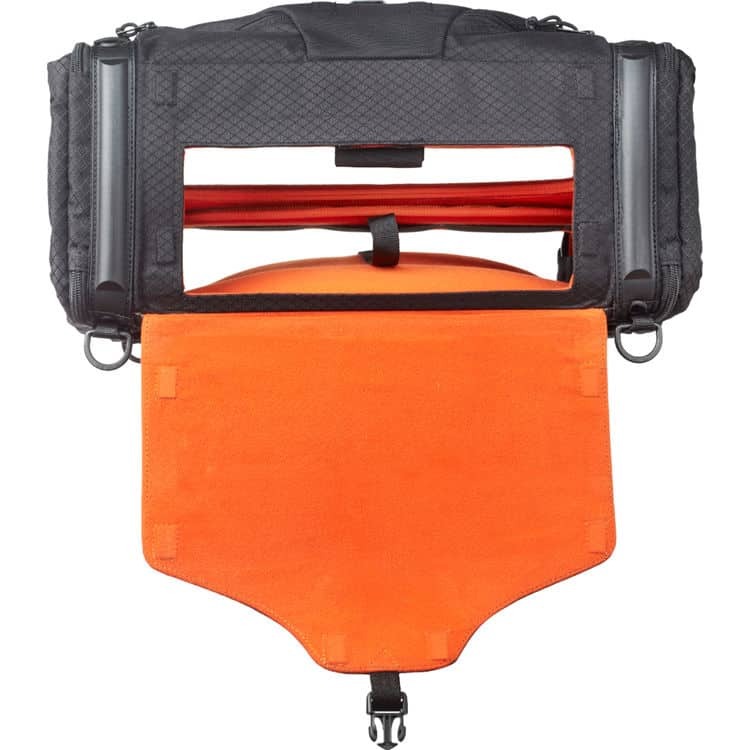 Web loops, Molle straps, and D-rings provide plenty of rigging points for additional accessories, and allow the Stingray audio bag to be connected by harnesses and waist-belts. 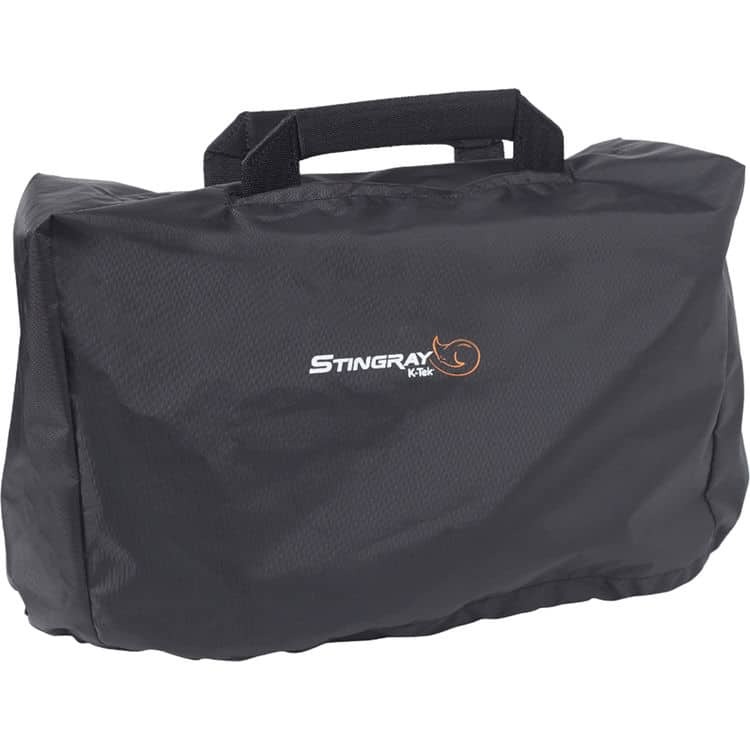 The Stingray Medium ships with two wireless pouches, a shoulder strap, a clear shield, and stealth cover.